Everyone looks forward to a vacation getaway! Now is the time to SPRING into action and start planning your next Bluegreen Vacation! 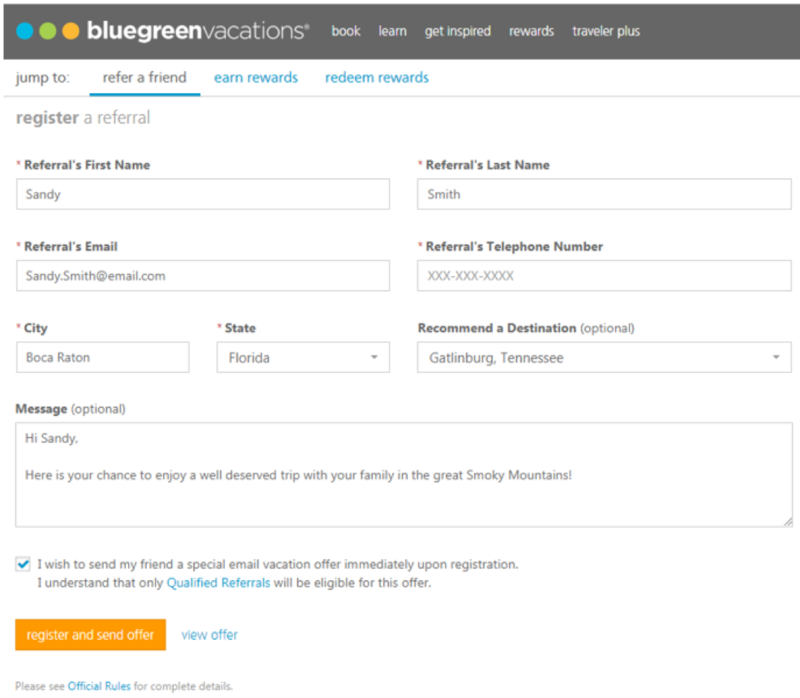 While you are logged onto your Bluegreen Owner’s account scheduling your next great trip, don’t forget you can send your registered referrals a special email vacation offer from the Bluegreen Rewards page! Need to register your friends and family as Qualified Referrals** first? No problem! 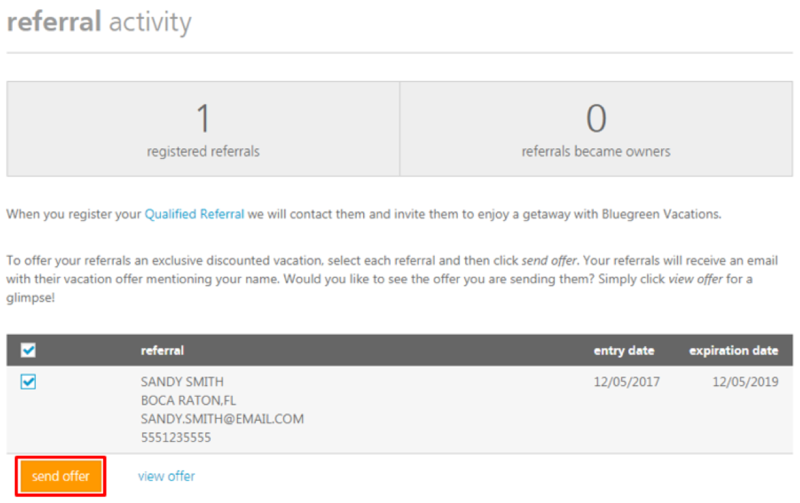 Visit bluegreenrewards.com to register your Qualified Referral** and send them a special vacation offer all at once. First, click register a referral today and enter in your referral’s information: First Name, Last Name, Email, Telephone Number, City and State. Next, review the drop-down menu to recommend a destination where they should travel. This can be your personal favorite destination or a location you know they will love! When they go to book their vacation, they will be able to choose from 15 destinations. You have the option to write your friend a personal email message, then you must check the box indicating you wish to send your friend a special email vacation offer. You can send your pre-registered Qualified Referrals** a special offer anytime by going to the Referral Activity page on your Bluegreen Owner’s account. From here, check the box next to your Qualified Referrals** name, then click Send Offer and an email will be sent to your friend! Check out our upcoming Referral Parties! We would love to hear your feedback about the Bluegreen Rewards Referral Program! Don’t forget to check us out on Facebook and Twitter. Call 866.362.6733 or visit bluegreenrewards.com to learn more about Bluegreen Rewards.